I don’t often write a redirect to another Web site other than links. I’ve only done that a couple times; for a story written by Kirk Tuck, and a blog site written by one of my riding buddies, The Hashbrown Diaries. As I best remember, I’ve never presented a link to a video. I usually prefer still photographs, and often get impatient with videos. But this is a great story and I recommend it for all motorcyclists. 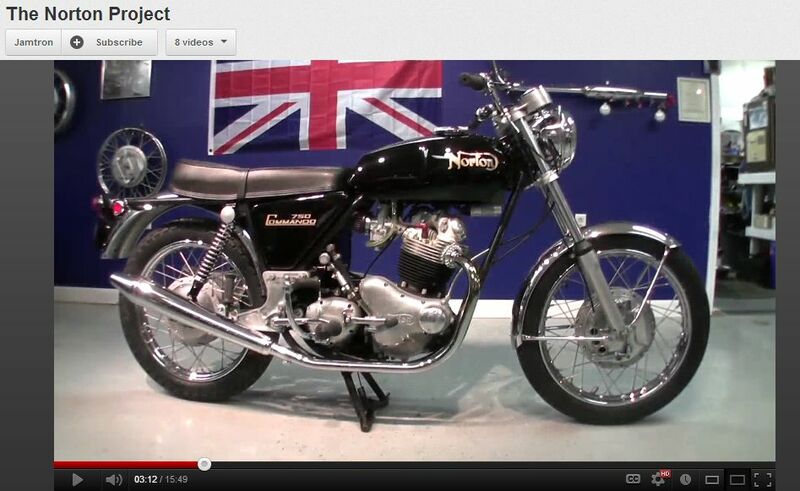 I was reading posts on The Texas Rambler blog and uncovered a link to the Norton 750 Commando story here (it has been there since last month). You can also go directly to the video at The Norton Project.